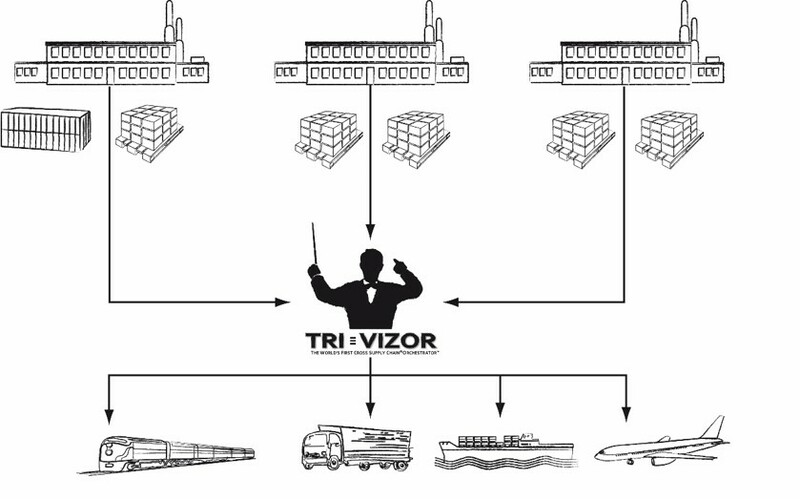 As the world’s first impartial orchestrator for transport and logistics, TRI-VIZOR proactively prepares, designs and operates horizontal partnerships and collaborative communities among shippers. By bundling and synchronizing logistic activities across multiple supply networks, we create double digit gains in cost, customer service and sustainability for our clients. TRI-VIZOR has developed a strong vision on how logistics and supply chain management will evolve in the coming years and want to prepare companies and other organisations to anticipate on what is going to come. In essence, the current business models in transport and logistics will fail very soon due to low efficiencies caused by fragmentation and important capacity shortages. The new business models for smart and sustainable logistics will be based on sharing capacity, i.e. bundling of flows, clustering of activities, sharing services and pooling resources. TRI-VIZOR has demonstrated that horizontal partnerships and platforms are the most fair and appropriate way to realize this. In its role as neutral orchestrator, TRI-VIZOR prepares, involves and supports companies in the processes of creation (as ‘architect’) and managing (as ‘trustee’) horizontal collaboration partnerships and platforms.